Silent Land is a portrait of life in Moldova, one of Europe’s poorest and least known countries. Photographer Åsa Sjöström visited the country repeatedly in the ‘00s. When she returned in 2014 she noticed that something had changed. Moldova had become silent. Now Fotografiska opens the exhibition Silent Land, coinciding with the release of a book with the same titel by Max Ström. 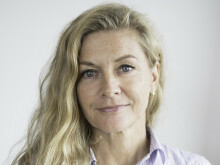 Åsa Sjöström is one of Sweden’s most celebrated documentary and news photographers. She possesses the ability to get close to people and produce images that look beyond the obvious, making the viewer pause and take notice. As a news photographer she has travelled the world. When someone mentioned Moldova she realised how little she knew about the country, and that she was not the only one. She decided to visit. Åsa Sjöström tried to take a step back from her usual reporting method. Noted as early as 2006 by the prestigious World Press Photo Foundation, Åsa Sjöström was awarded her for photographic series “Moldova Ballet”. The series came about in a purely accidental fashion when Sjöström happened to pass by the beautifully decayed ballet school building in Chisinau. The images portray young and ambitious dancers working hard to fulfil their dreams. For most of them it is a matter of achieving a sufficiently high level so they can leave the country. After working for eight years at the daily Sydsvenskan she returned to Moldova at the beginning of 2014, when the war in the Ukraine began. There where reports that Russian forces had tried to enlist Moldovan youngsters. “During this visit I noticed that something had changed. Moldova had become silent. There were hardly any people on the streets. The borders had opened and more than a million people had moved abroad. That’s more than a third of the population, which is a demographic disaster. And it’s mostly young, able-bodied people who are moving, leaving children and old people behind. Moldova is undergoing tremendous change. From having began to approach the EU in 2014 and instituting EU-compatible legislation, to the end of 2016 when the first democratic election in 20 years returned a pro-Russia president. In 2014 a fraud scandal erupted. One billion dollars had been stolen from three of the countries banks. The money had been transferred abroad and the banks were on the brink of bankruptcy when the poor state decided to bail them out by tapping into the state reserve. At this time Åsa Sjöström learned to know the Gradinari family of nine children. Silent Land is largely based on them. She met them a couple of times a year, sharing the life of this typical Moldovan village family who make their living through agriculture. 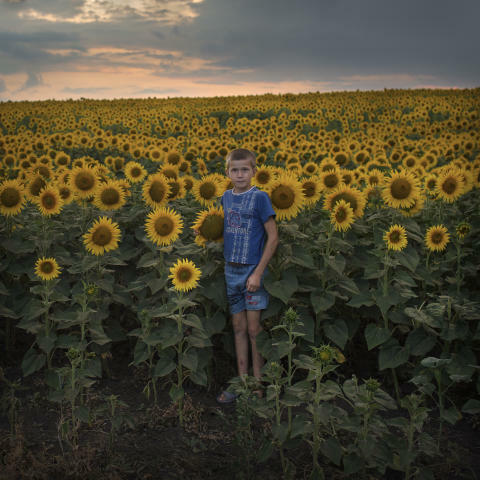 “I wanted to try to find the kind of life that most people in Moldova live. What is it like having to leave, and what do you leave behind? I was struck by how things could become this way in a country. It was like time had been reversed,” Åsa Sjöström says and mentions the many half-finished buildings lining the streets. Sjöström depicts a vulnerable environment but her images of people show much more than that. “I was fascinated by their existential struggle, by their warmth and their love. For me, local stories in a global context are the most important of all. Moldova has changed fundamentally since 2005, and so have I and the people I have met. Each time I’m about to leave, I wonder what it is that attracts me to a place, a country or a story. The connection is often personal and I can’t always put into words why I am captivated by a story. I let my meetings with people and my images tell the story. However, I do know that it is very difficult for me to let go when I have been attracted to something. I want to know more, I want to enter the country, meet people and learn their stories. A story I share, even though it’s not mine. We share the same dreams, the same hopes for the future; it’s just the conditions that separate us. I see myself in the people I photograph and often wonder what my life would have been like if I had lived there. Economy: Moldova, a former Soviet republic, is Europe’s poorest country. In 2013 some 20 per cent of the population lived below the poverty line and in 2015 the GDP growth rate was –1.1 per cent. More than one million Moldovans work abroad, in Russia or the EU. Åsa Sjöström is a documentary photographer based in Malmö and educated at Nordens fotoskola. Her work is focused on international understanding, human rights and the situation for women and children around the world. With a mixture of documentary and artistic idioms, photographer Åsa Sjöström wants to create awareness and intimacy. Her photographs have received attention from, among others, the World Press Photo (Sjöström is the first Swedish woman who has been awarded a prize in the world’s largest photo competition), POYi and she is also a multiple Swedish “Photograph of the Year” winner. In 2016, Åsa Sjöström’s work was displayed in the Mariatorget underground station in Stockholm, as part of Stockholm Public Transport’s annual art event.